The North Avenue pedestrian bridge over Lake Shore Drive will shut down beginning April 11. CHICAGO (WLS) -- A popular walkway to Chicago's lakefront is closed for repairs. 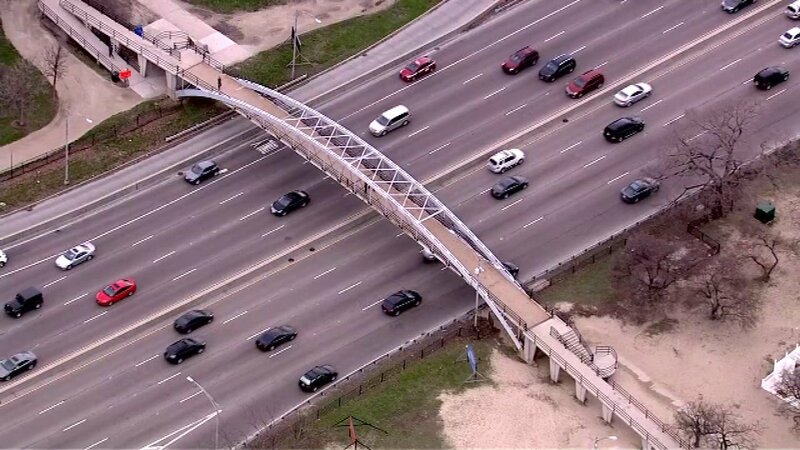 The North Avenue pedestrian bridge over Lake Shore Drive shut down for nearly three months on April 11. There will also be nightly lane closures on Lake Shore Drive. People can use the LaSalle underpass or the pedestrian bridge in Lincoln Park to get around the closure.